Herbie Hancock once called Grégoire Maret “one of the most creative musicians around”. 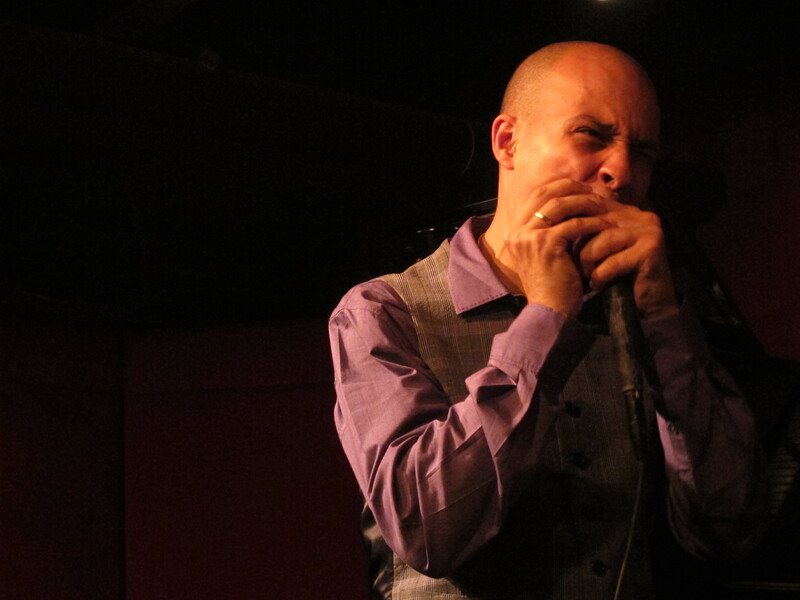 The Geneva-born harmonica sensation lived up to his reputation last week at Jazz Standard, one of the best venues for jazz In New York. He took the stage with his band for a series of 8 shows between May 3rd and May 6th to present his long anticipated self-titled debut album, after spending the past 10 years playing virtually every musical style with many different artists such Pat Metheny, Youssou N’Dour or George Benson. On May 4th, Grégoire Maret joked on stage about an album, which has been “extremely long to accomplish” . But this sleek musical journey, on which he is joined by harmonica legend Toots Thielemans for a beautiful cover of Ivan Lins’ “O Amor E o Meu Pais”, was definitely worth the wait. With the impeccable support of Frederico Gonzales Peña on piano, an artist he calls his “brother from another mom”, the sytlish Clarence Penn on drums percussions, and the extremely talented Ben Williams on bass, Grégoire Maret offers a modern mix of jazz, soul, blues, pop and Brazilian sounds. He opened up the show with the percussion-driven Crepuscule Suite, in which his passionate and physical harmonica solos set the tone of the performance. His duet with Frederico Gonzales Peña on “My Loved Ones” was a moment of sheer magic. The Swiss artist was then joined on stage by Raul Midon, a blind guitarist known among other talents for his velvet voice and vocal mouth trumpet sounds. Midon, who worked with Sharika, Stevie Wonder and Little Louie Vega, makes a cameo appearance alongside Cassandra Wilson on Maret’s album. At Jazz Standard, Raul Midon provided the vocals for an inspired cover of “The Secret Life of Plants” by Stevie Wonder. On the atmospheric Manha du Sol, he echoed Maret’s harmonica with his vocal mouth trumpet sounds before a sublime finale that lit up the stage and galavanized the crowd. That night, Grégoire Maret powerfully proved once more that the underutilized harmonica can be one of the most beautiful instruments in jazz.